Based on a nomination from the teams at Gladden Farms and Saguaro Bloom, Northwest Landscaping has been named the recipient of the Marana Branding Iron Award. 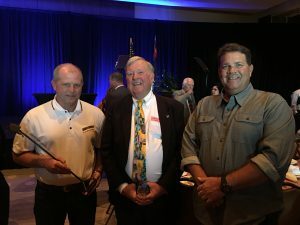 Each year, the town council of Marana in southern Arizona awards to Branding Iron Awards, one to an individual who has made a significant impact on the community and the other to a business who exemplifies community partnership. We’re proud to see Northwest receive this award for their commitment to serving communities we manage. CCMC will be represented as Northwest receives this community award during the Marana State of the Town Address on April 19. We congratulate the Northwest team on this accomplishment and thank them for embodying what it means to be a community partner. 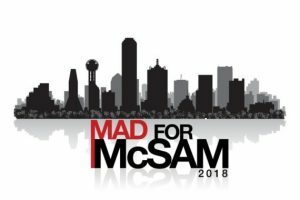 The Dallas Builders Association recently announced finalists for its annual McSAM Awards, which include several nominations for communities served by CCMC, including Heartand, Trinity Fall, Wildridge and Windsong Ranch. The McSAM Awards, created in 1979, recognize sales and marketing experience among builders, developers and associates who have made a significant and creative contribution to the community. View a complete list of nominees here. Each year, the Community Associations Institute selects Outstanding Community Leaders from a field of more than 2 million homeowner volunteers serving on their community’s Board or committees. We’re proud to announce Clay Hadick, a Board member at Hill Country Retreat in San Antonio, as one of this year’s recipients. Nominated by their community association peers, colleagues and community managers, award recipients exemplify service to their communities. CAI received more than 150 nominations for this year’s recognition. Clay has served on the Hill Country Retreat Board of Directors, where he serves as vice president, for more than two years and has played an integral part in ensuring the community’s continued success. During Clay’s time on the Board, the community’s reserve fund increased from $480,000 to $1.2 million and the community received back-to-back honors as recipient and runner-up of the Community of the Year award from the San Antonio Chapter of the Community Associations Institute. In addition to serving on the Board, Clay is also active as a resident in the community, participating in a number of community clubs, including Veterans, Brew Crew, men’s softball and pickleball. 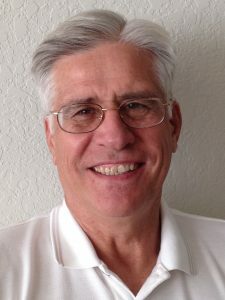 Outside of his role on the Board, Clay co-founded and served as chair of the NW 151 Annexation Group, which advocated for the residents of the Alamo Ranch Property Owners Association to vote to be annexed into the city of San Antonio or to remain as unincorporated Bexar County. This effort ultimately saved homeowners more than $1,000 annually in average city taxes. Click here to read more about CAI’s Outstanding Homeowner Leader awards. 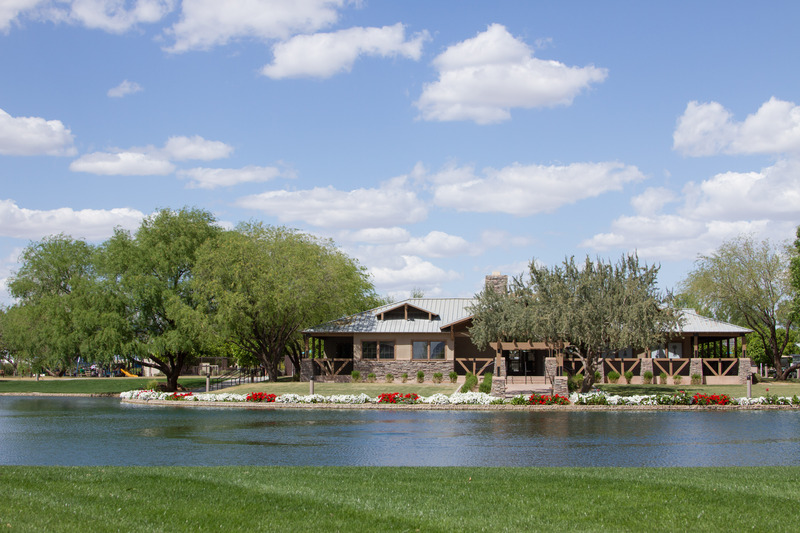 55places.com, a real estate-focused website for active adult communities, recently released its list of the Top 50 Best-Selling Active Adult Communities for 2018, and we’re proud to announce three CCMC communities were featured. 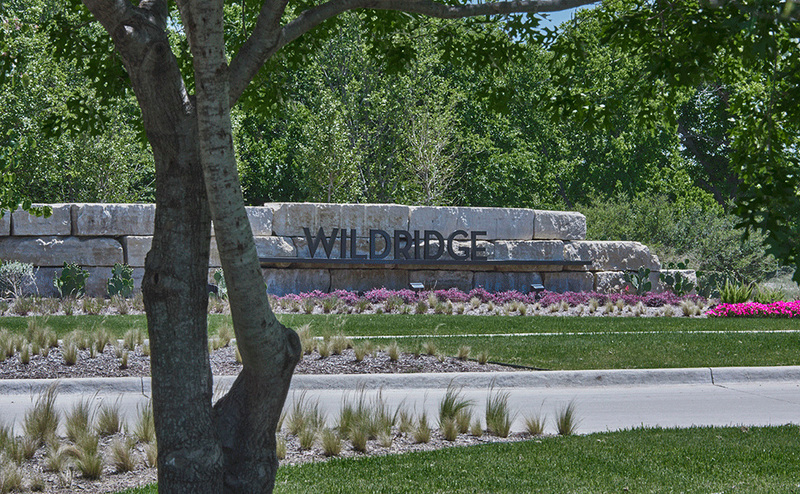 Frisco Lakes in Frisco, Texas, ranked 21st, while Hill Country Retreat in San Antonio and Province in Maricopa, Arizona, placed 36th and 37th, respectively. 55places.com bases its rankings on sales through its website from March 1, 2017, through Feb. 28, 2018; the list is not indicative of total home sales. Read more about 55places.com’s Top 50 list. 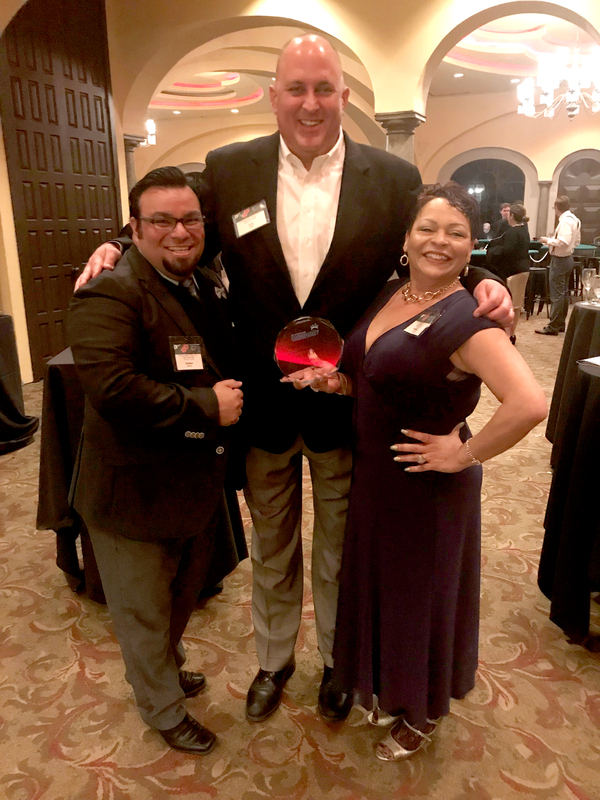 For the second year in a row, two CCMC communities received Community of the Year recognition by the San Antonio chapter of the Community Association Institute. Stillwater Ranch earned top honors, while Hill Country Retreat was named runner-up. Last year, the two communities finished in the opposite spots, with Hill Country Retreat edging out the victory. Under the leadership of community manager Brenda Tate, Stillwater Ranch has earned a reputation as a top community in San Antonio. The community offers an array of amenities suited to residents and families of all ages, as well as a vibrant lifestyle program. Hill Country Retreat offers luxury lifestyle for an active-adult audience. Community manager Neil Bresnahan and his team provide an abundance of opportunities to residents in the community, with more than 100 clubs meeting regularly. 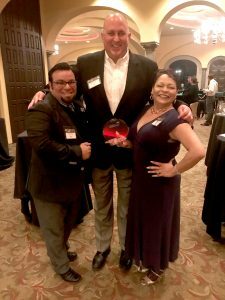 In addition to Stillwater Ranch and Hill Country Retreat, two other CCMC communities – Valley Ranch San Antonio and Alamo Ranch – were also finalists for Community of the Year. Click here to congratulate Stillwater Ranch on being named Community of the Year. The allure of new construction and modern amenities help propel home sales in developing communities. But what happens a decade or two down the road when the community enters a more mature chapter of its lifecycle? What steps can you take to ensure your community remains relevant and desirable? To answer these questions, we recently invited community managers and Board Presidents to share their experience and ideas on the matter. Their tips and insights are summarized below. Evaluate key amenities – including community centers and landscaping – on an ongoing basis, and invest money as necessary to ensure their aesthetic and functional integrity is maintained. Consider updating or modernizing association policies on issues such as house paint colors and other design modifications. As time passes and trends change, be sure you’re accommodating the needs and desires of your homeowners. Continue fostering a true sense of community in the neighborhood. Word-of-mouth is a major marketing tool, and your residents can be your best salespeople. By ensuring they remain active and engaged in events, programming and community operations, you ensure you have a knowledgeable and happy base for sharing positivity. Use your residents as a resource. Involve them in community operations through committees, town hall meetings or community surveys designed to gather input and better understand their interests and ideas. Bring in an outside perspective. Partner with local entities that have a vested interest in the community – schools, public services, local businesses, etc. – and use these resources to gauge perceptions of your community outside the neighborhood. Be open to change. As demographics of the community adjust, you need to adapt and be prepared to address their requests, whether that’s a change in meeting times or the addition of a new amenity, such as a pickleball court. Prepare a communications strategy. When deciding on improvements, ensure your community communications are sharing the positive news and benefits with residents. This process continues as the project begins and, especially, when it’s completed. Ensure residents are fully informed at each stage of the process. Focus on the intangibles. Often, a community can compete on elements beyond amenities, such as proximity to schools and shopping and level of assessments. Find ways to play to these strengths, such as partnering with parent-teacher organizations for events and programs and demonstrating the value of the homeowners’ assessments. Through partnerships with CCMC, communities benefit from the open sharing of information, best practices and resources, empowering Boards and management team of each community to succeed. With age comes experience, and with more than 40 years serving community associations across the country, CCMC is well-equipped and prepared to help communities throughout the complete community lifecycle. 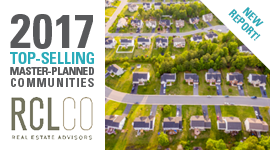 RCLCO Real Estate Advis ors recently released its list of the 2017 Top-Selling Master-Planned Communities, and seven CCMC-managed communities were included. This news follows a similar list released from John Burns Real Estate Company. John Burns’ list featured six of the communities CCMC serves. “Congratulations to all our top-selling communities and thank you to our teams in these – and all our other – communities, who continue to work tirelessly creating experiences that connect people and ensuring their neighborhoods feel like home for current and potential homeowners,” D. J. added. CCMC communities are well represented on John Burns Real Estate Consulting’s list of the Top 50 Master-Planned Communities of 2017. The annual list is based on number of volume of new home sales. This year’s list saw strong gains in the Phoenix and Las Vegas areas, both of which are among CCMC’s key markets. Developers and builders in these regions have reported improved demand across the full spectrum of buyer types, according to John Burns. 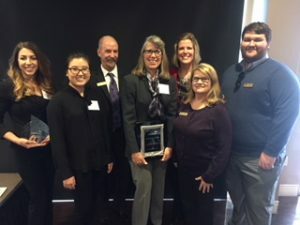 The Rocky Mountain Chapter of the Community Associations Institute recently recognized Anthem Ranch and BackCountry with top awards. Anthem Ranch was named Community of the Year, while BackCountry earned the Outstanding Community Building by an Association prize. Anthem Ranch captures the essence of Colorado for its active-adult residents. Set in the beautiful mountain landscapes of Broomfield, the community engages residents through a variety of events and programs. The 32,000-square-foot Aspen Lodge, the community’s amenity center, features facilities for swimming, exercising, relaxing and spending quality time with friends and neighbors. BackCountry’s recognition for Outstanding Community Building by an Association also exemplifies the engagement of that community’s on-site team. This award recognizes a community association for outstanding demonstrations of community resourcefulness and enhancement and application of team members’ strengths. The community’s nomination focused on the BackCountry team’s efforts to bring people together through lifestyle events and activities, engaging with committees and volunteers, and recognizing and partnering with resident entertainers and businesses. The BackCountry team is composed of six full-time and 10 part-time employees, led by community manager Gary Debus.